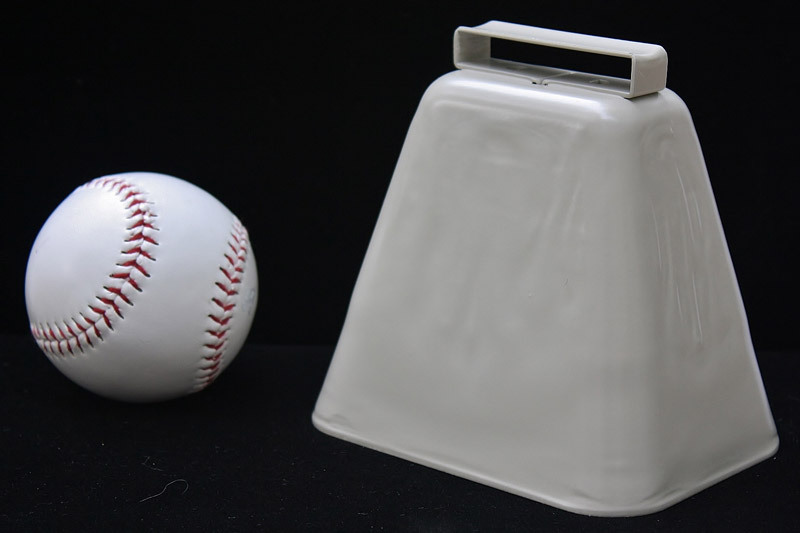 Which Cowbells Are The Loudest Cowbells? What Does The "K" Stand For In Cowbells 1K, Cowbells 2K, Etc.? 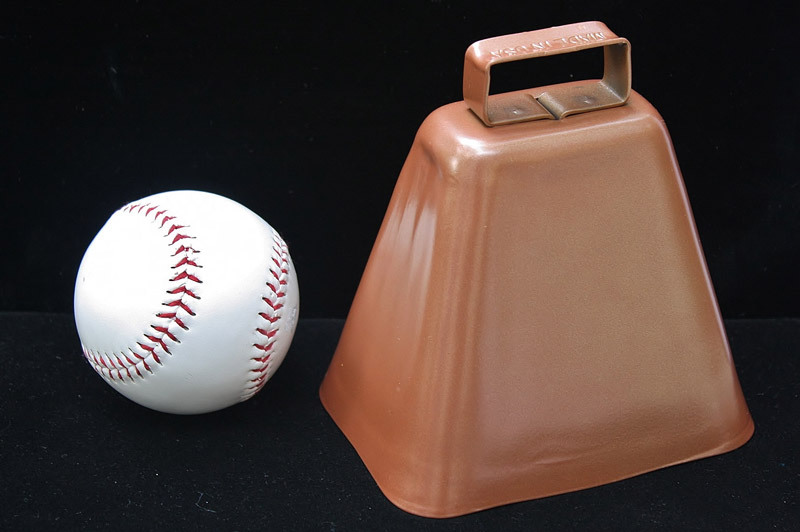 What's the difference between the long distance and kentucky cowbell? What Does The LD Stand For In Cowbells 9LD, Cowbells 12LD, Etc.? Two plates of carbon steel fused together with a gray powder coat finish. Height with loop: 5 1/4"
This is our loudest, large cowbell for sale. Hang it as decoration or put it on far roaming cows. You'll never lose Betsy with this quality cowbell!